This post originally published on VentureBeat, based on my recent trip to the Detroit Auto Show. Google and Tesla may be pushing full-speed ahead in their self-driving car development and testing, but auto manufacturers aren’t sitting idly by. Judging from the outputs of this week’s North American Auto Show in Detroit, as well as CES in Las Vegas last week, it’s clear that incumbent car companies are rising to the challenges of competing in an autonomous world. 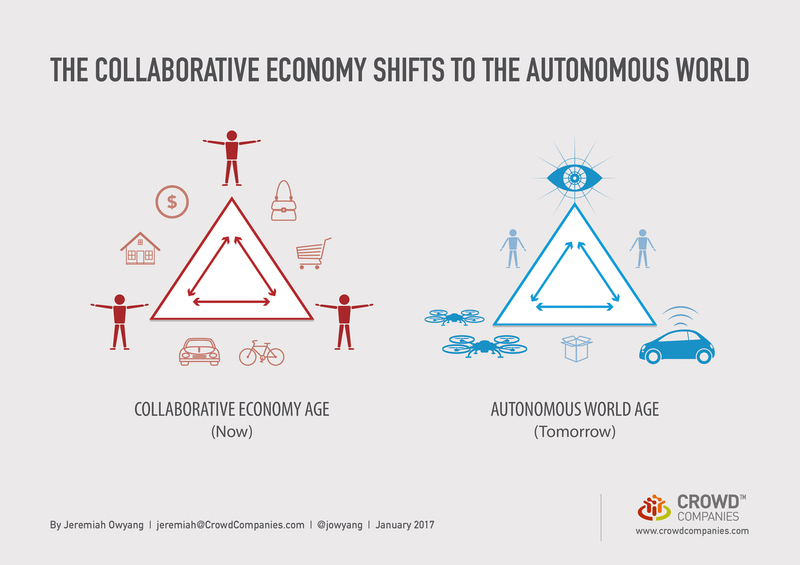 Silicon Valley startups and tech giants are launching many threats to the traditional auto industry as part of the Collaborative Economy movement, from ride- and car-sharing platforms like Lyft, Uber, RelayRides, and Getaround, to more recent innovations of autonomous cars that will further enable ride access over car ownership from Google, Uber, and others. GM partners with Lyft on future autonomous car fleet, investing $500 million. Ford announces new car-sharing program that allows six people to lease one vehicle. The company is also launching “Go Ride,” a shared shuttle service that you summon with your mobile device, similar to UberPool and Lyft Line. BMW announces that it has sold 30,000 electric i3s, which also use the shared charging stations and are available in its “Drive Now” car-sharing programs. Mercedes-Benz uses “Drive Pilot” technologies in its 2017 E-Class to enable the car to follow other vehicles up to 130 mph, braking, accelerating, and steering without driver input needed. I had the privilege of attending the North American Auto Show this week in Detroit, as a guest of Ford, and it was obvious by the announcements and unveilings that car companies want to evolve into new markets — markets where they sell more than just cars. Ford’s CEO Mark Fields spoke during an event, boldly stating that, “We are a mobility company.” The same trend is evident in BMW’s new service offerings across the entire mobility experience. It’s about more than getting from point A to point B for today’s customer. The value proposition is shifting. To break new ground, auto companies are becoming tech companies. They’re partnering with Google, Microsoft, and Amazon, rather than building from scratch. They’re taking a page from startup playbooks and investing in peer-to-peer car-sharing and ride-sharing companies. 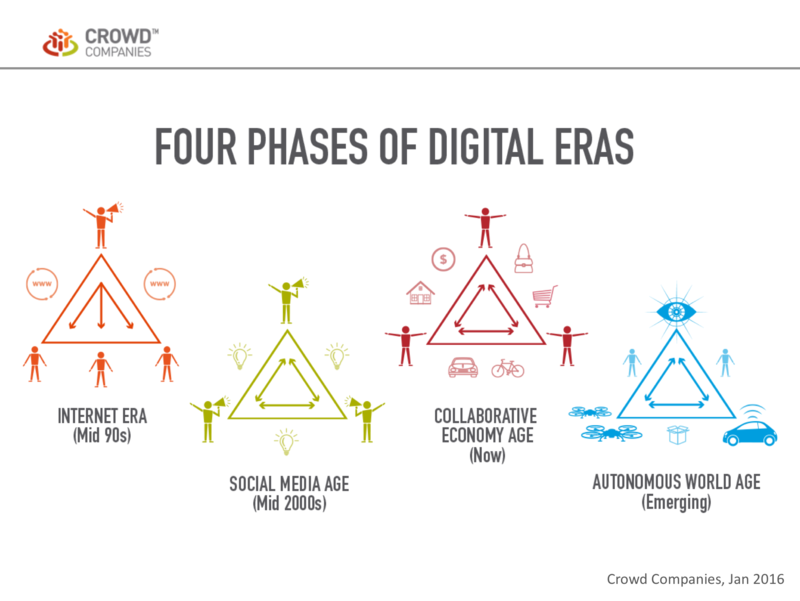 Most importantly, they’re seeing new business models emerge and are quickly adapting to disruption. They must enable rather than resist, leaning in to survive. This includes the building of autonomous vehicles that encourage “rides as a service” behaviors rather than ownership. Motor City may not be operating on as aggressive of a timeline as Silicon valley, but it has a seat at the table. 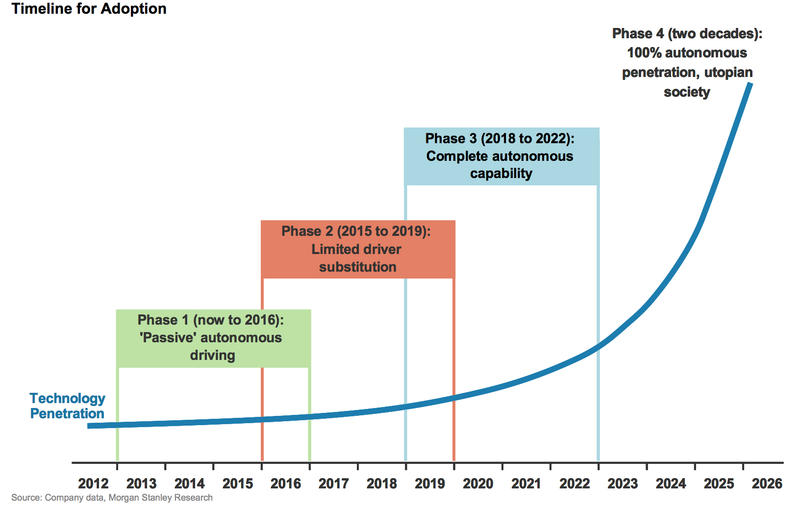 Auto manufacturers are predicting self-driving car consumerization in three to four years, versus Tesla’s expectation of one year and Google’s current deployment of cars already in California. We’re in the midst of a significant transition for auto companies as they realize a future where people may not want or need to own vehicles. These manufacturers must continue evolving in step with customer behaviors, offering access to vehicles and rides-as-a-service programs as expectations rise. Acquisitions will continue to make headlines as Detroit’s powerhouse manufacturers offer their expertise to Silicon Valley technologists and vice versa. 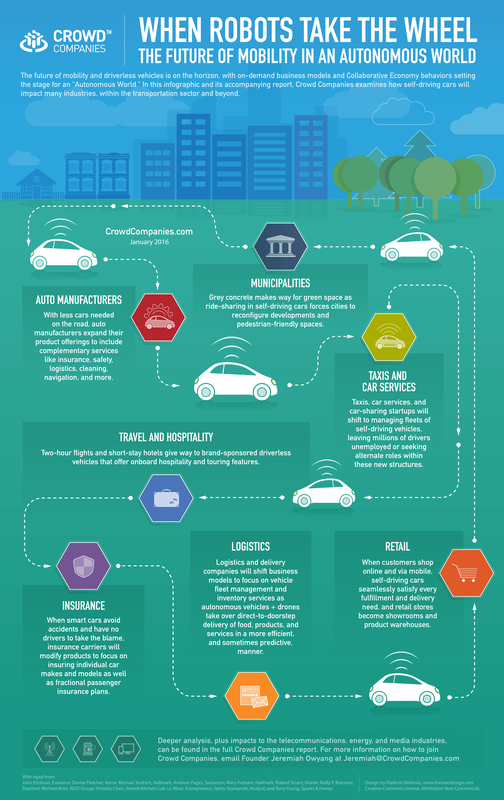 We can expect to see more changes in an exciting year ahead as auto companies become mobility services and tech companies become auto companies.